My daughter decided to be tested for HD after her father developed the disease. Sadly she was to test positive to HD with a high CAG reading! 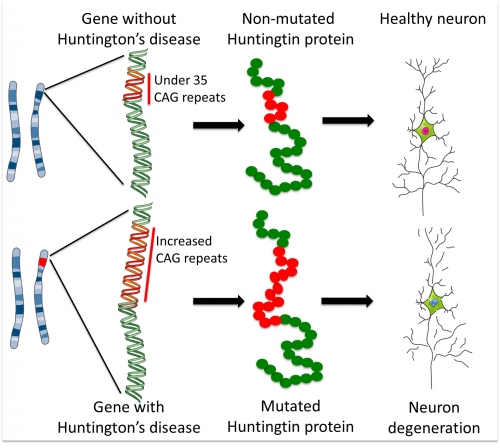 During the testing, it was discovered that me as her mother had a CAG of 33, showing that my Huntington gene had started to mutate also! After further investigation, my mother was also shown to have a CAG of 33 however all other family members were in turn all tested and thankfully all had the ‘normal ‘ CAG range! Thought this would be of interest as your article was to all of us, that eagerly await those all important positive research findings!